We seed and slice Aleppo peppers. We place the red pepper slices on metal trays under the sun for days until they are completely dry and they crack when we try to break them. Then we crush them using a food processor. We sieve the flakes. Keep the larger flakes to use as garnish for dips and sides. We add to the the powder some salt and rub in a little olive oil to give the paprika a shine. Then we put it in the sun for a few hours. 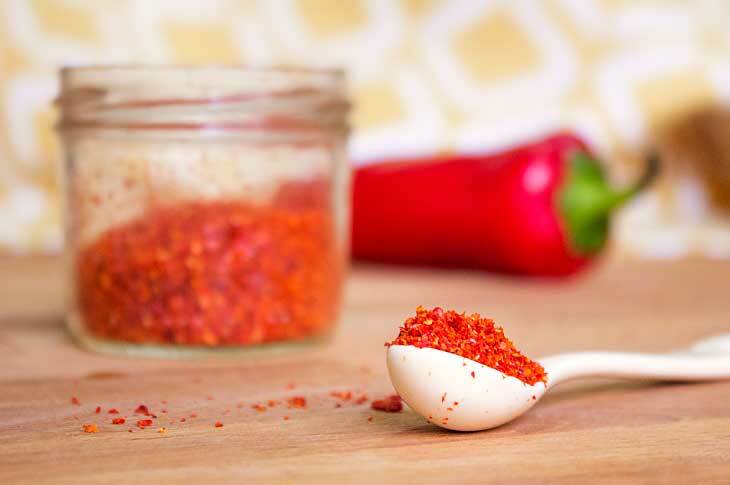 We store red pepper flakes and powder in jars in the freezer.